Bold restaurant graphics that whet your customer’s appetites! They say you eat with your eyes first. That is why we work with some of the most delicious restaurants around making sure that the graphics for their restaurant look as good as their food tastes. Whether you need help with menu boards, window clings or wall murals we do it all. And if you offer catering or delivery, great as we love wrapping vehicles as well. One of the most exciting trends restaurants graphic packages is camouflaging sound dampening acoustic panels behind vivid, color-exploding fabric graphics. This increases the visual and audio experience of your diners and will help make your restuarant their favorite spot. 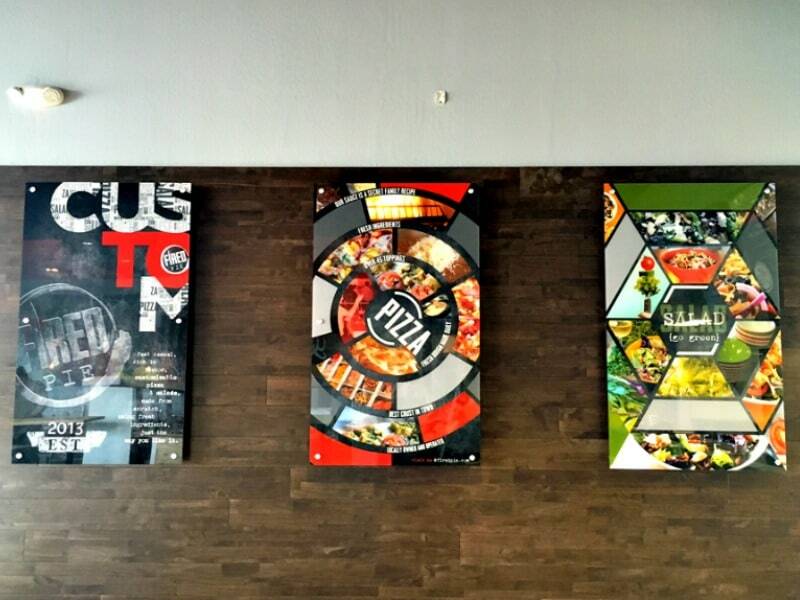 Mouthwatering acrylic panels in Fired Pie Pizza. Complete one-stop restaurant graphics package. Mad Greens is a rapidly growing QSR that not only delivers outstanding food, but a refreshing dining experience. It is critical for them to have consistent branding whether the location is Colorado, Utah Texas, or whatever market a customer visits. 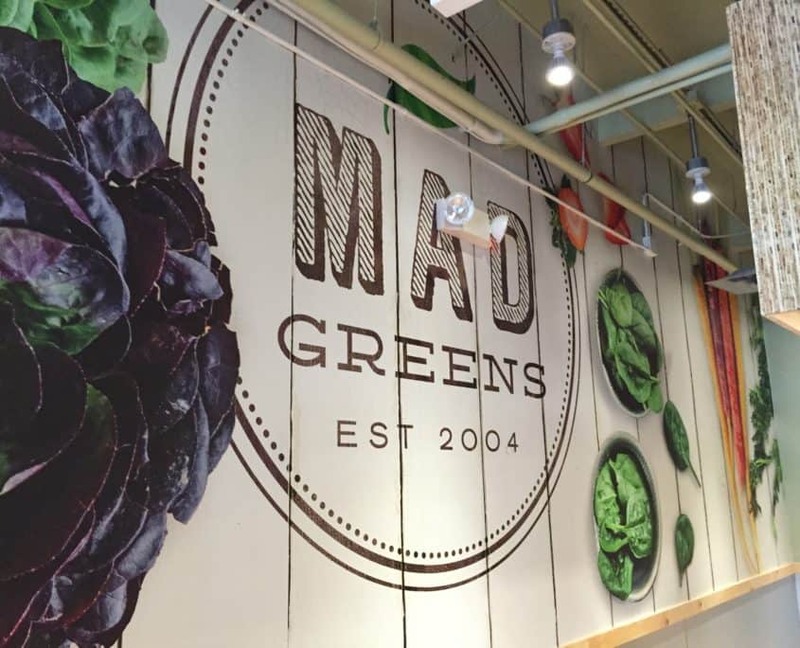 Mad Greens uses a variety of large format printing to dress up their restaurants including wall murals, window graphics, POP and even vehicle graphics. Check out their case study to see everything we do for them.